Bodies of four members of a family were recovered under mysterious circumstances from inside their home in Raisen district of Madhya Pradesh on Tuesday night. 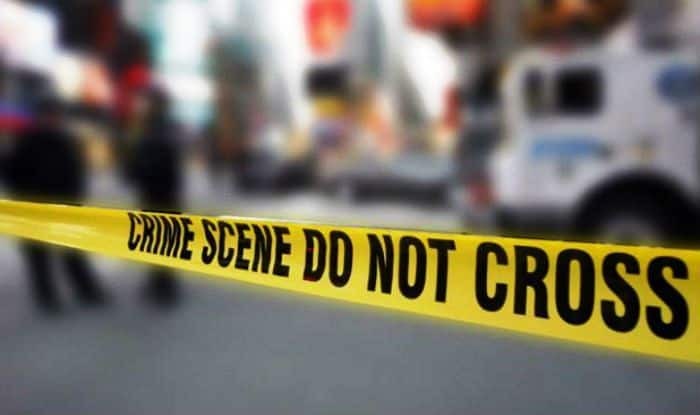 Raisen: Bodies of four members of a family were recovered under mysterious circumstances from inside their home in Raisen district of Madhya Pradesh on Tuesday night. The deceased include a 12-day-old girl. The police have reached the spot. Forensic experts and dog squad have been pressed into service. The incident was reported in Mandideep town of the district. The 25-year-old Sanju Bhuria, identified as the owner of the house, was also found in a critical condition in the same house. He has been admitted to the nearby hospital and is said to be out of danger. The deceased have been identified as Bhuria’s wife, 12-day-old daughter, his 11-year-old brother-in-law and middle-aged mother-in-law. The preliminary investigation claims suffocation as the cause of the death. However, police have not ruled out the possibility of poisoning. No suicide note has been recovered from the spot. As per Assistant Superintendent of Police (ASP) Raisen, AP Singh, the man admitted to hospital is out of danger. Speaking to the media, he informed that the four of his family members were declared brought dead by the doctors. In November last year, four of a family, including two women, were found dead under mysterious circumstances at their house in Khatoli village in Panchkula district of Haryana. The bodies of the four were found lying in a pool of blood in a room of their house. In August, three members of a family were found dead under mysterious circumstances in their home in Pataudi town while a one-year-old girl, who was seriously injured, died in a hospital. The deceased were identified as 25-year-old Manish God, his wife Pinki (22), his mother Phoolwati (62). They were found by a milkman who had gone to their residence in Brijpura village to supply milk. While Manish and his mother were found in a pool of blood, his wife was found hanging from a ceiling fan in another room with deep cut marks on her legs and hands.